If you’ve always wanted to take scuba diving lessons, experience unparalleled adventure and see the world beneath the waves, this is where it starts. Get your scuba diving certification with the PADI Open Water Diver course – the world’s most popular and widely recognized scuba course. I’ve certified dozens of people to scuba dive and they’ve all gone on to discover the wonders of the aquatic world through this course. In this course you learn to use basic scuba gear, including a mask, snorkel, fins, regulator, buoyancy control device and a tank. Exposure protection in the form of a wetsuit or dive skin is also appropriate depending upon the time of year. •Open Water E-Learning – Save time and do the classroom training on-line at your convenience, then contact me for two or three days of pool and open water dives. •Open Water Referral – This program is for whose who have completed the academic and pool training elsewhere and prefer to make their open water training dives in the warm waters of the Atlantic coast and/or the Keys of Southern Florida. 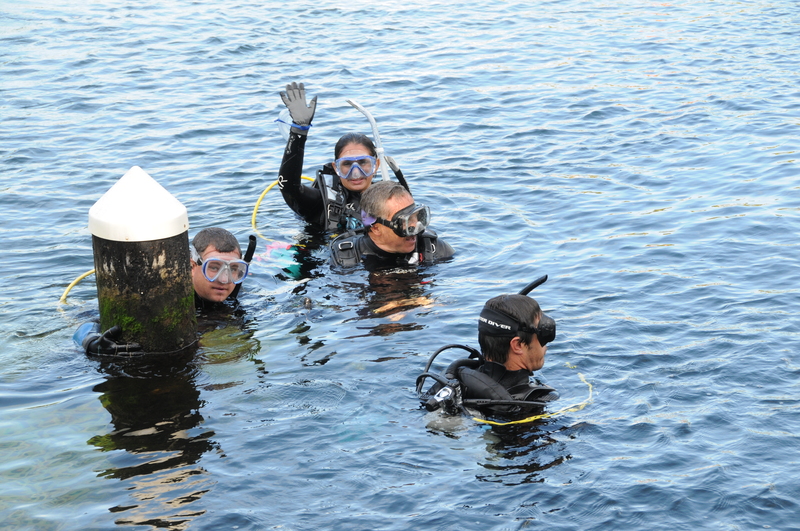 •Open Water Course – Complete the entire certification process with me in a three day course. Contact me to obtain your manual and logbook.